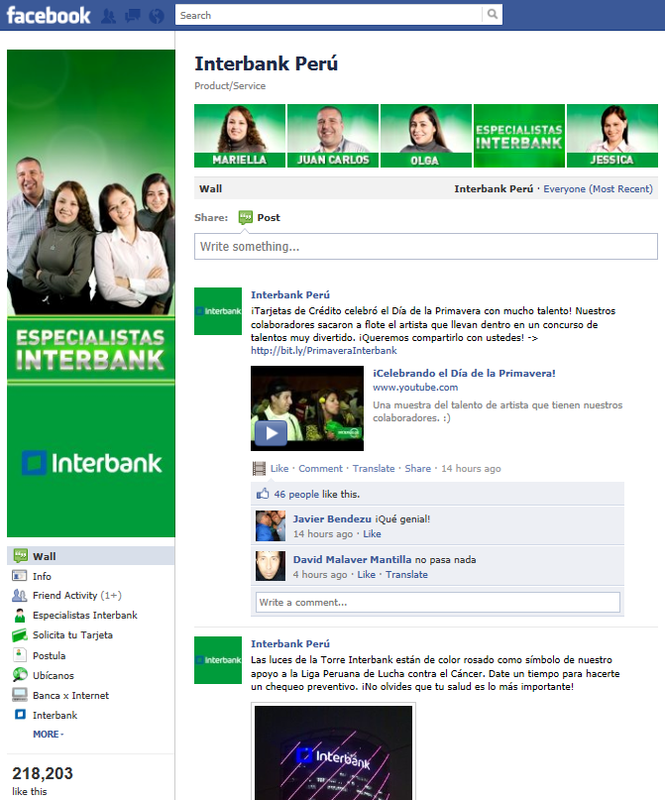 I’ve been following Interbank Peru’s social media activities pretty much from the launch of their first facebook page ‘mitiempo.pe‘ back in November 2009. Interbank’s pages are all in the Top 50 of our Visible Banking Facebook Watch series (1,088 pages and apps in 75 countries). A couple of weeks ago, I was pleasantly surprised to get some coverage on their main corporate facebook page ‘Interbank Peru‘. Based on my experience, it is extremely rare to receive any kind of acknoledgement, even a simple ‘thank you’ via email, despite the hours spent producing an insightful article or video, and the word of mouth generated. Kudos to the Interbank team for their excellent influencer management strategy. Customer care on twitter and facebook is one of my favourite topics with the Voice of the Customer (VOC) and Know Your Followers/Fans (KYF). I am excited to annouce that for the last couple of months, my team has been busy collecting data from over 200 twitter accounts dedicated to customer support in 13 countries. I aim to publish the best report on this topic worldwide. Stay tuned on Visible Banking! * Financial Institutions, Be Brave. Believe in Customer Support on Twitter.